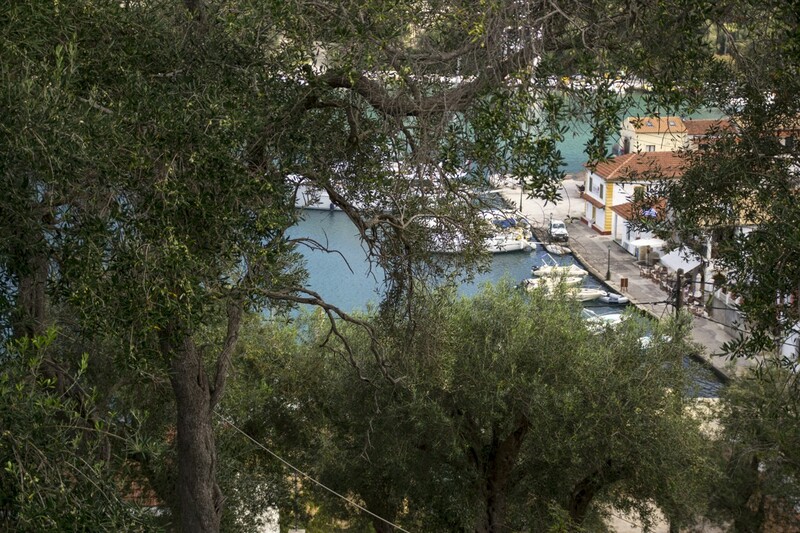 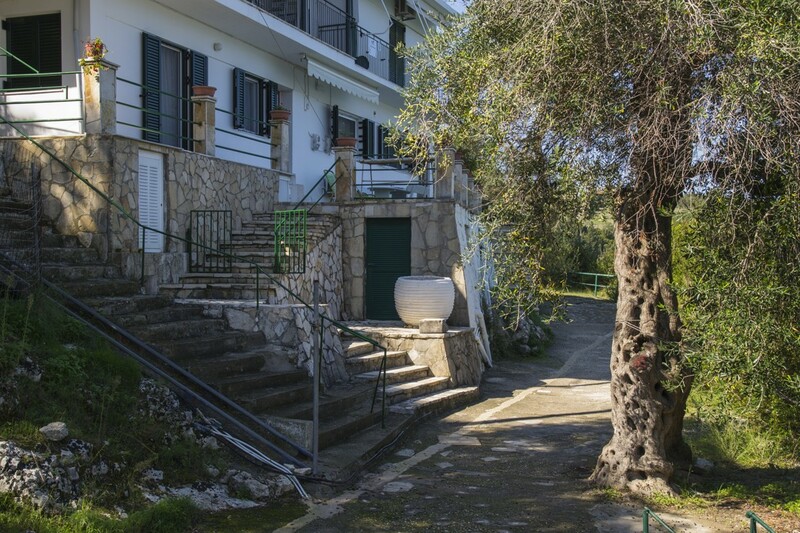 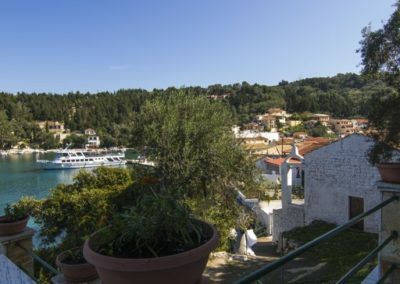 On the hill side of Lakka’s bay is situated the complex of the studios and apartment of Lakka Bay view. 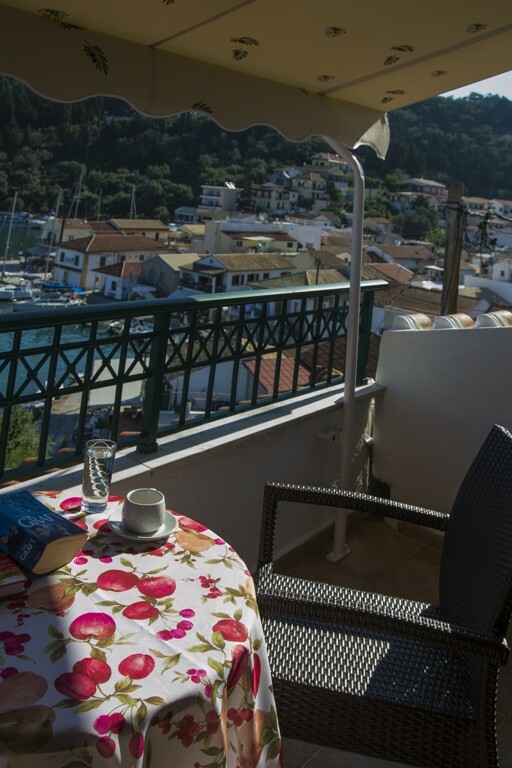 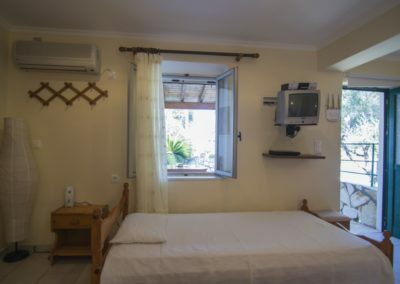 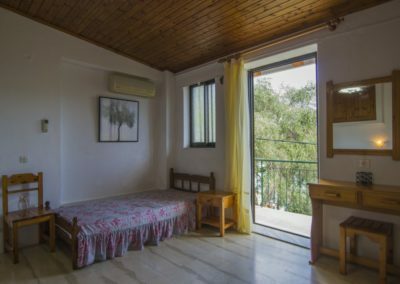 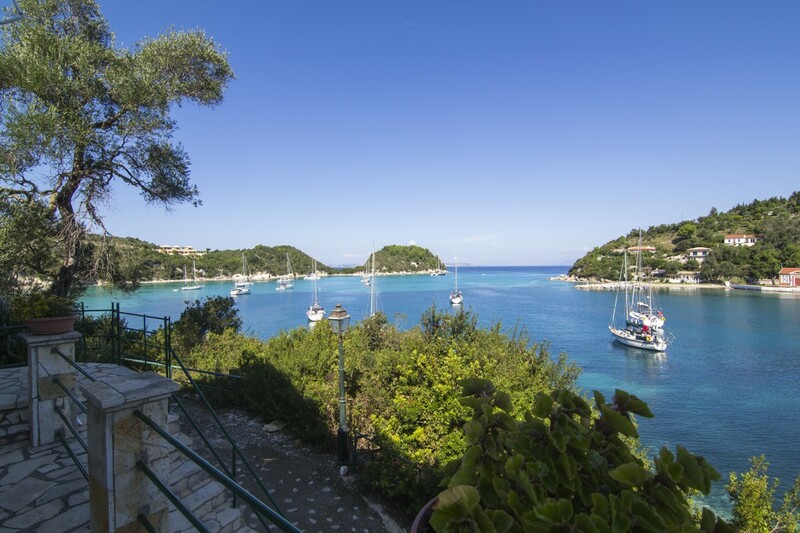 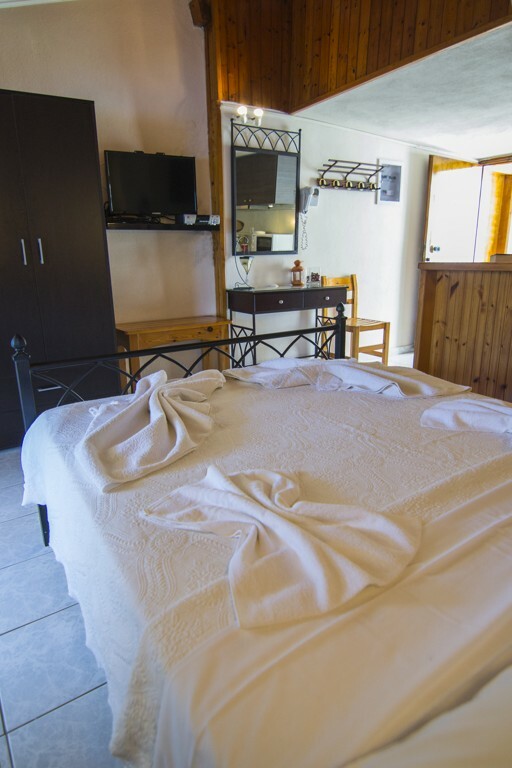 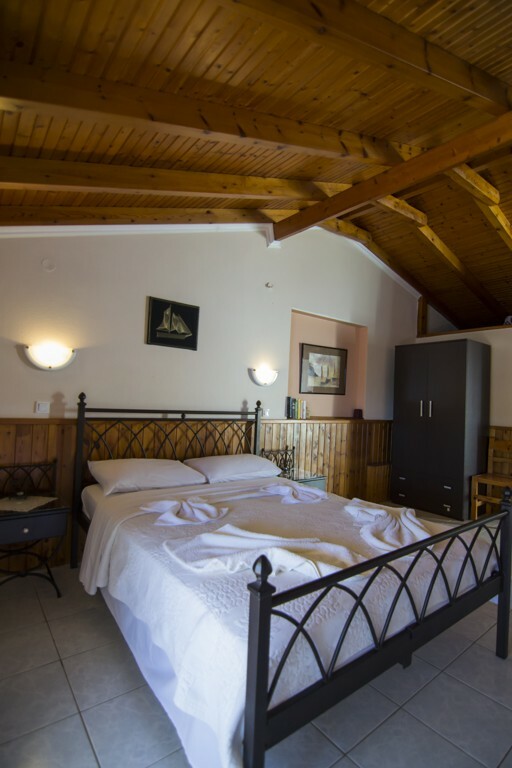 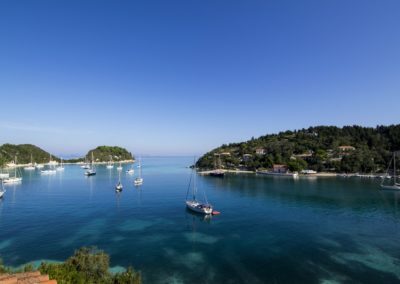 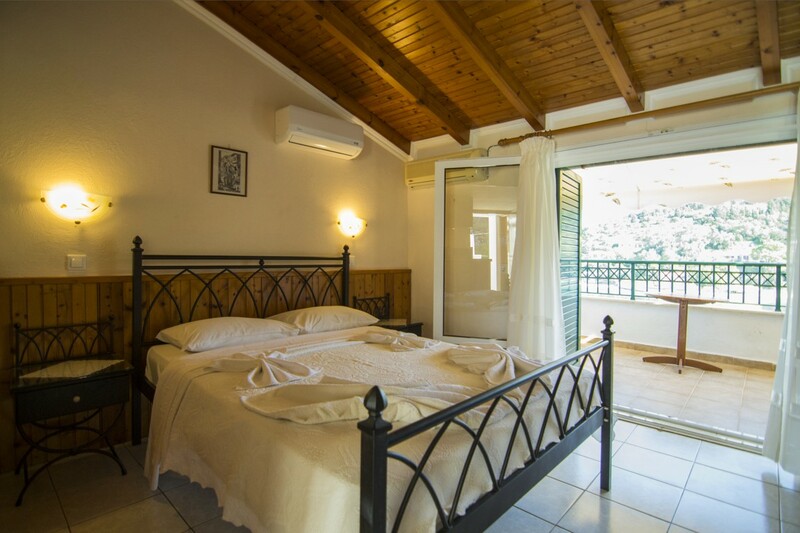 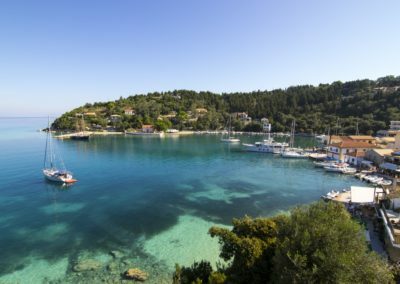 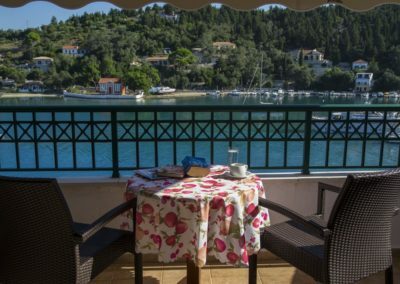 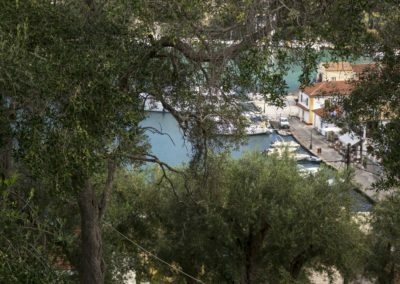 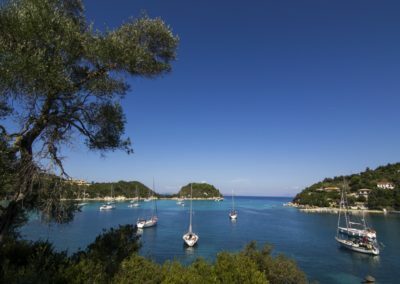 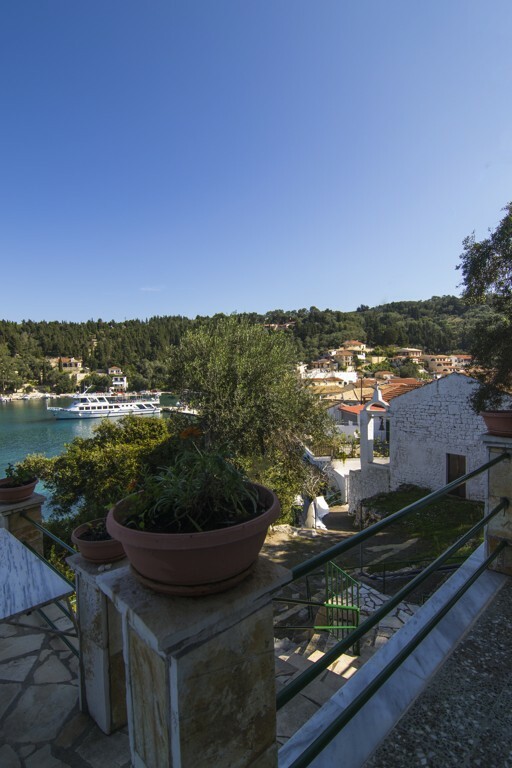 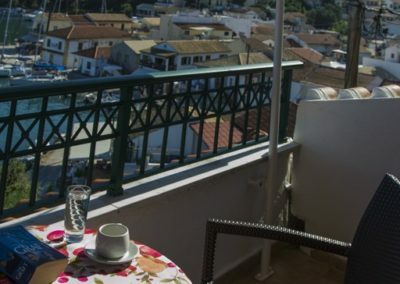 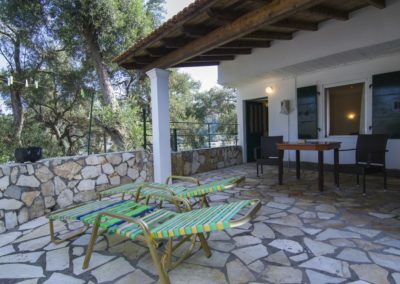 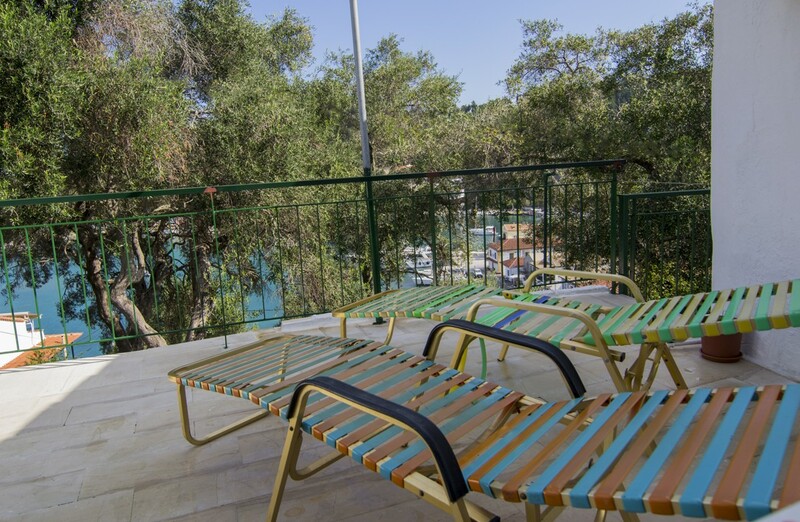 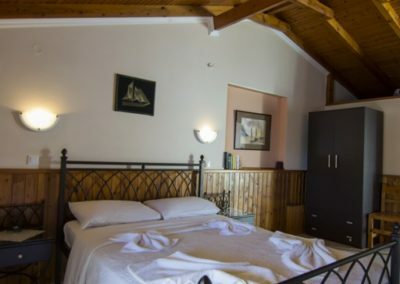 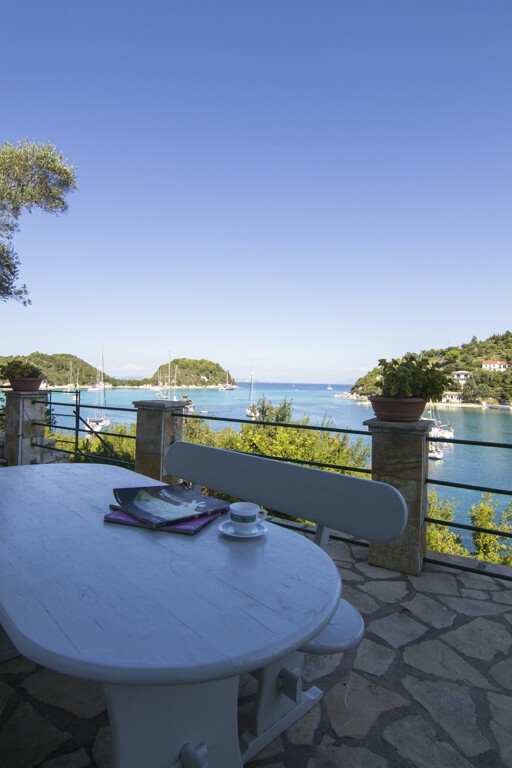 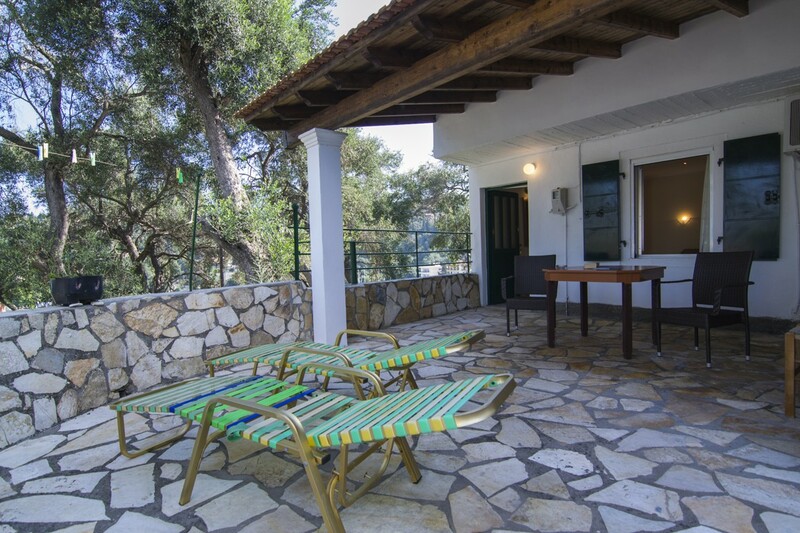 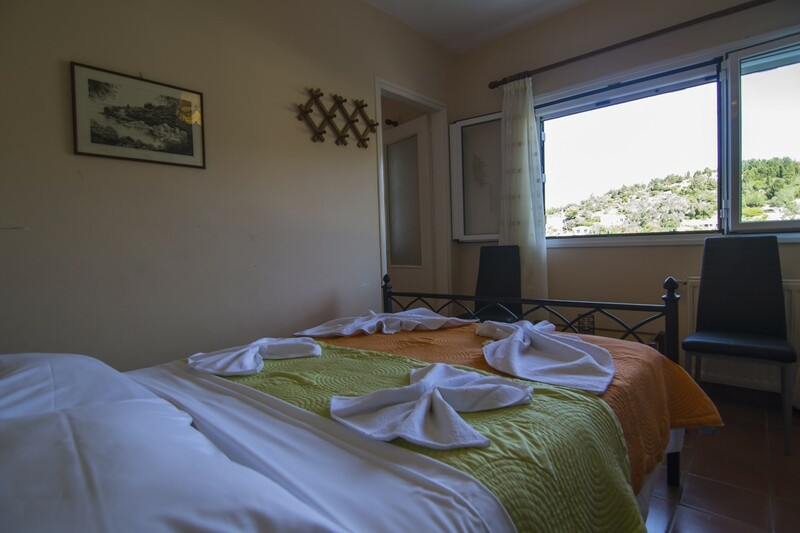 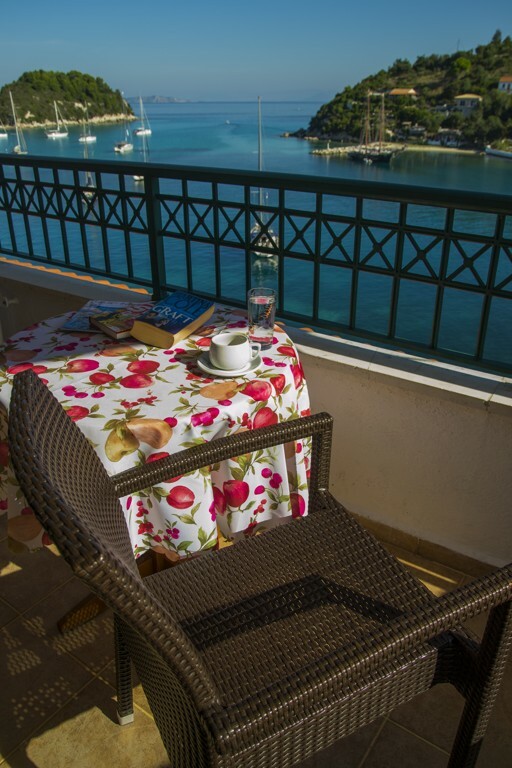 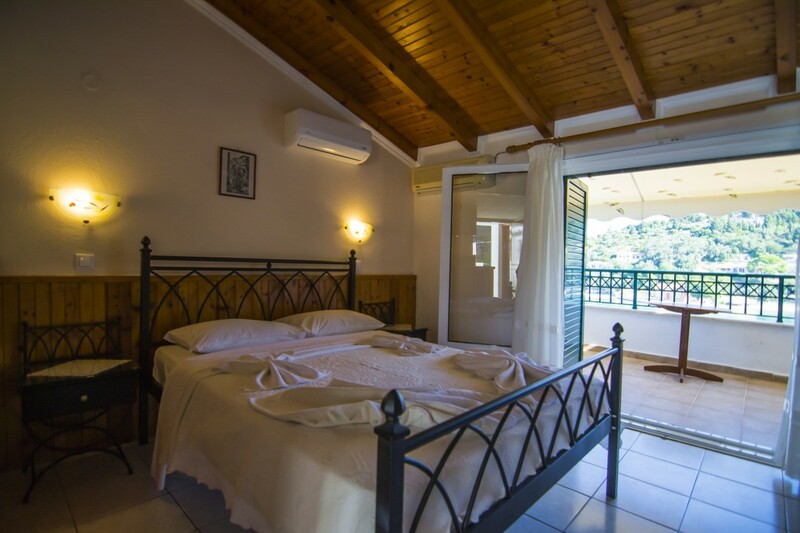 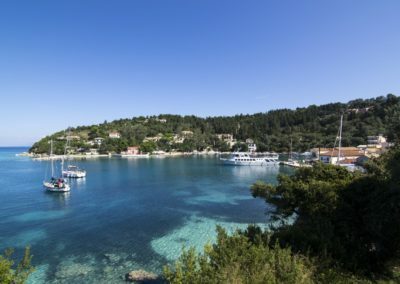 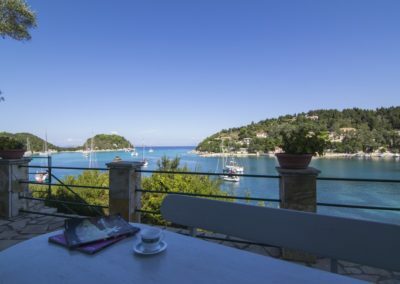 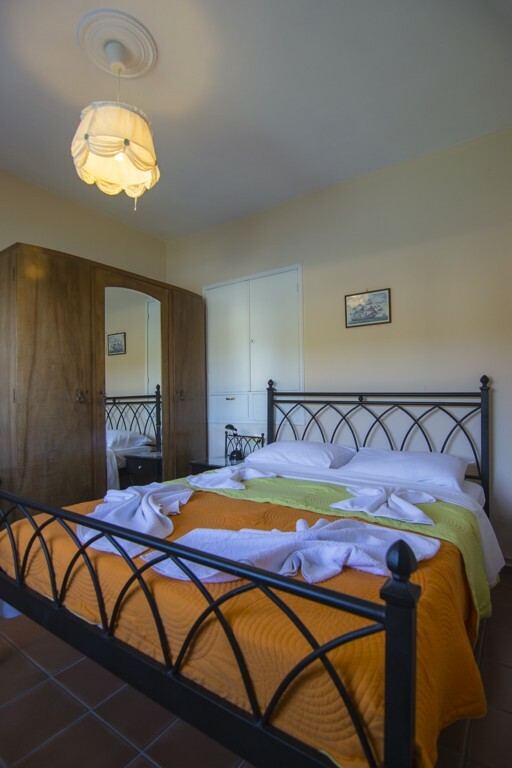 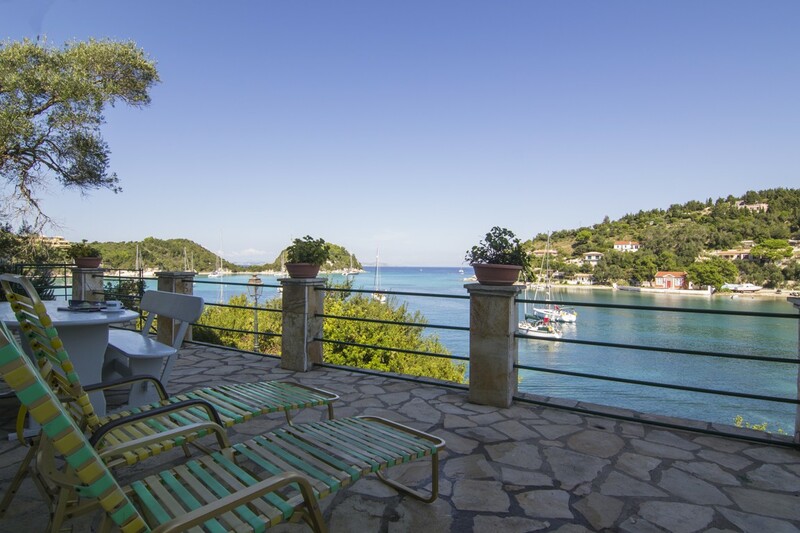 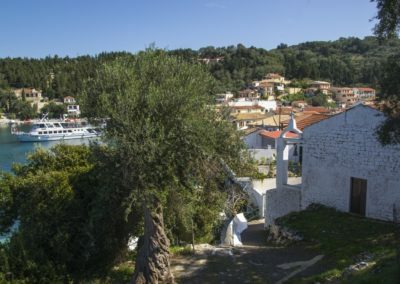 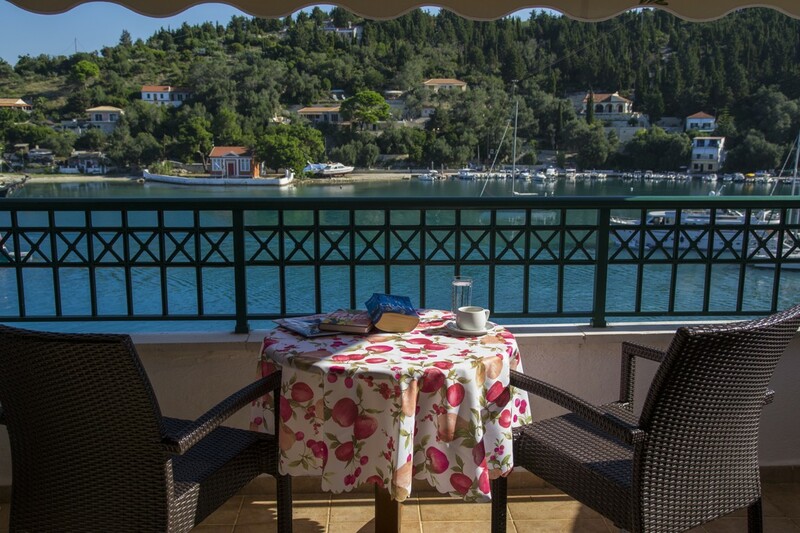 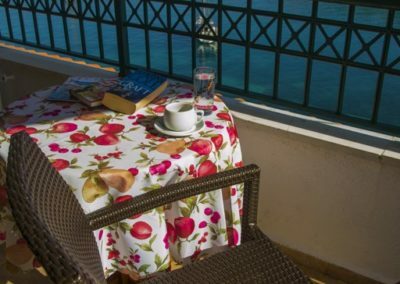 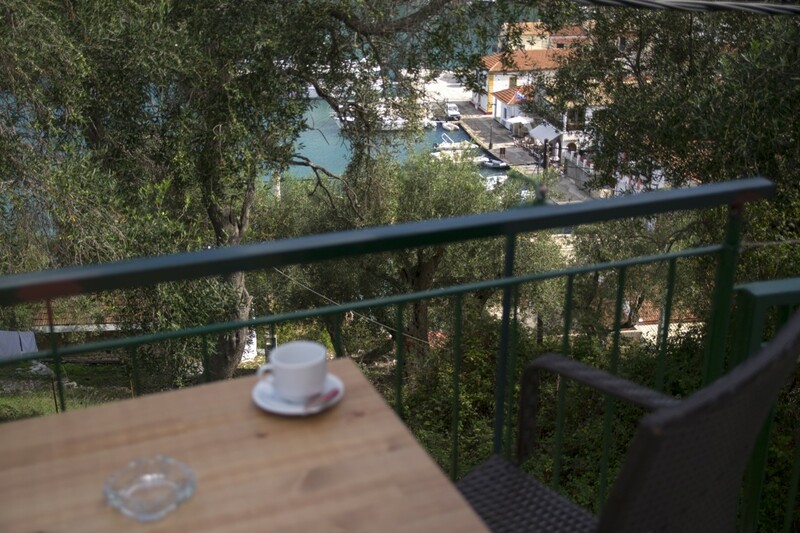 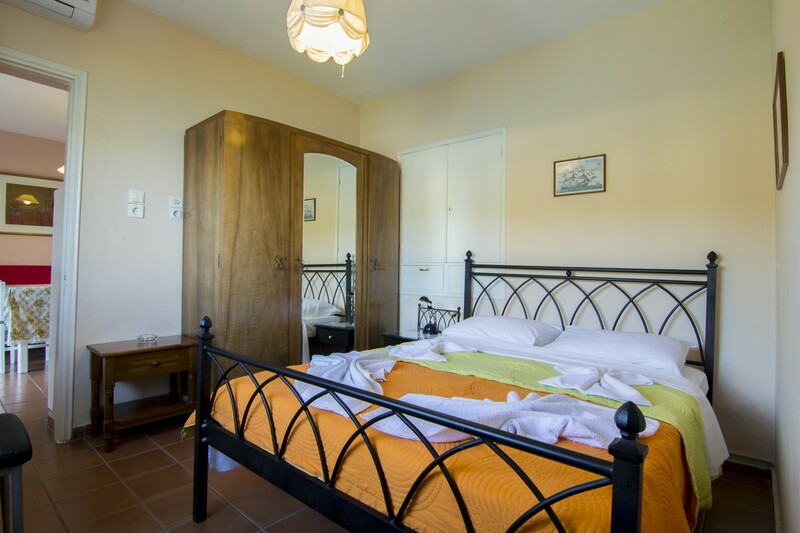 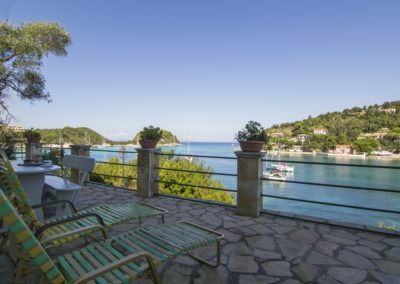 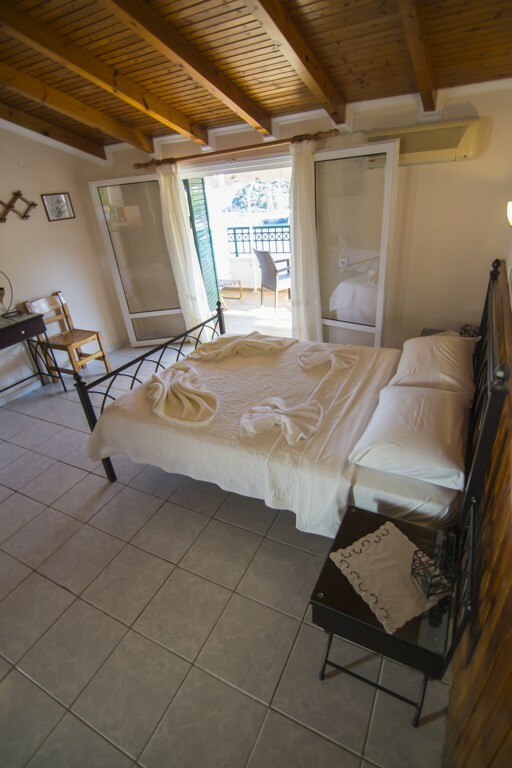 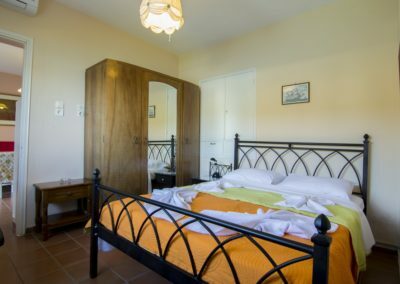 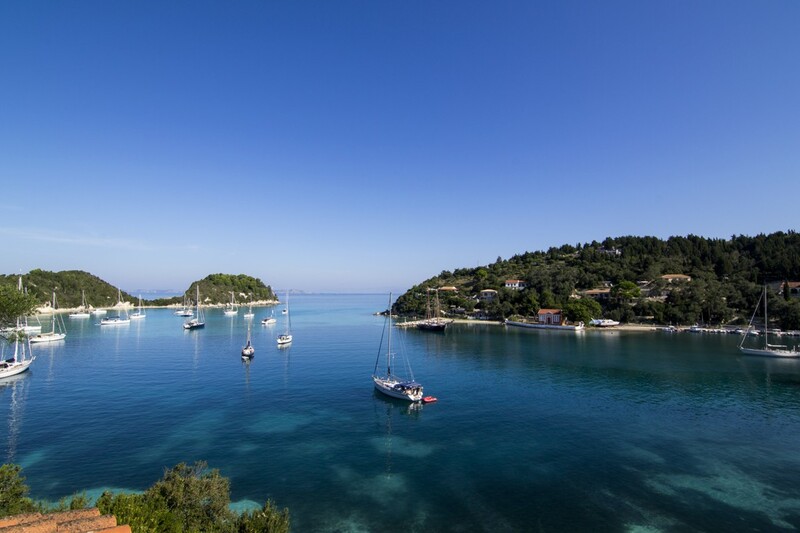 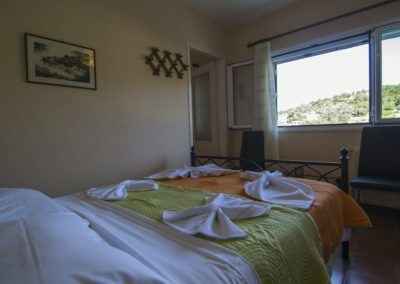 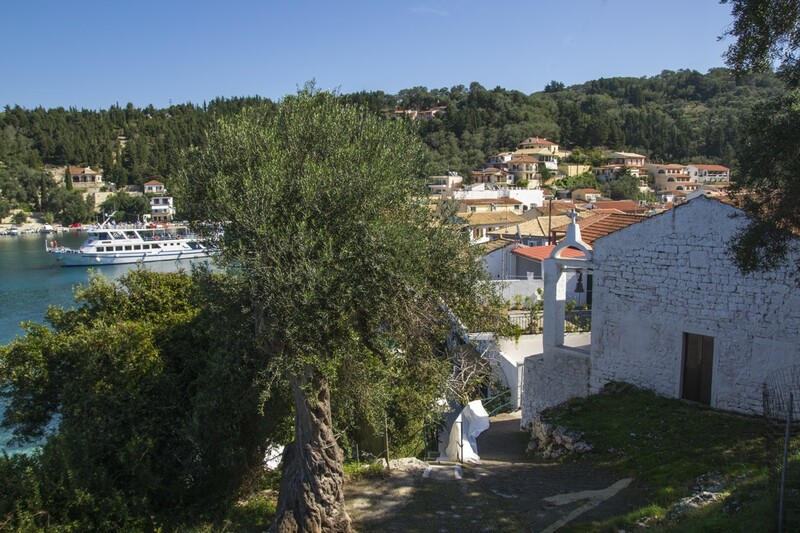 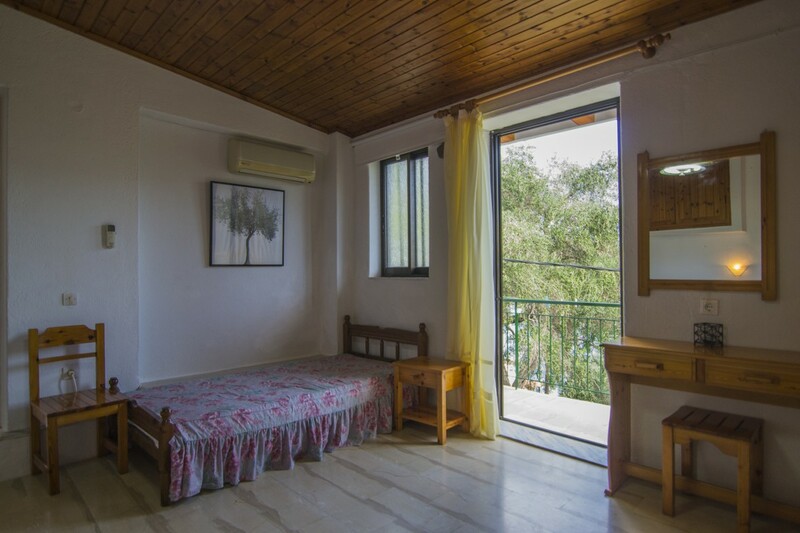 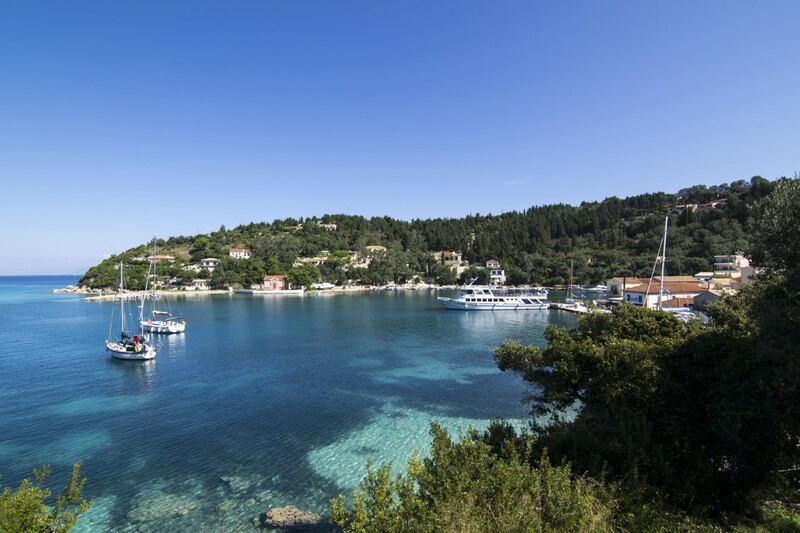 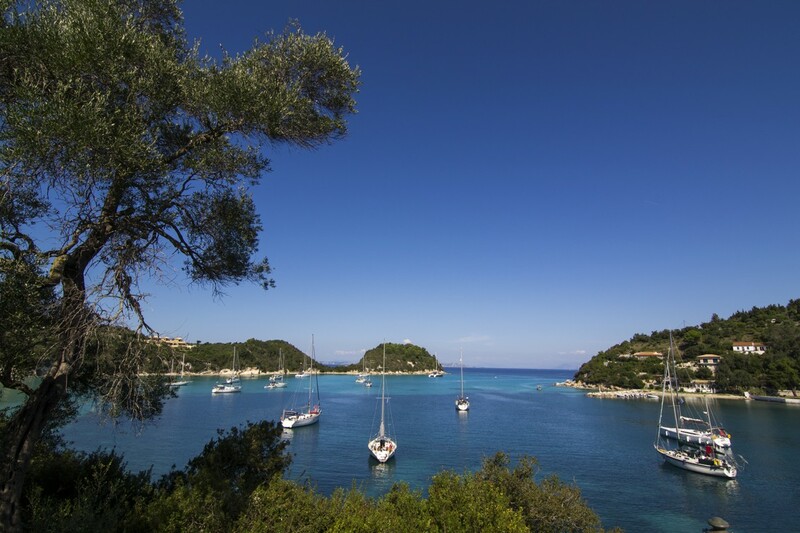 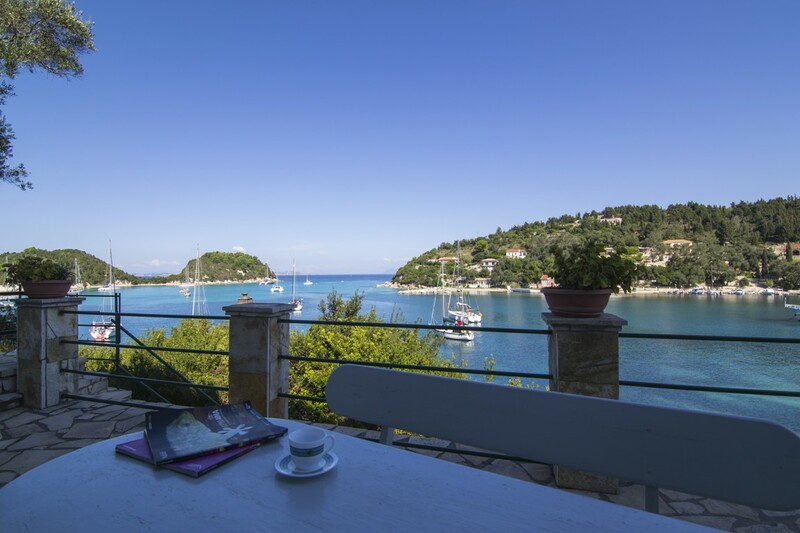 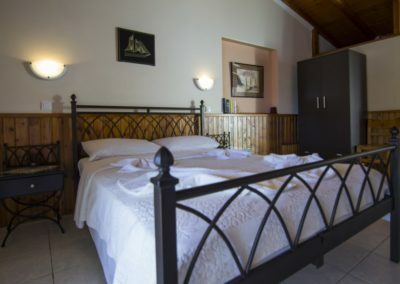 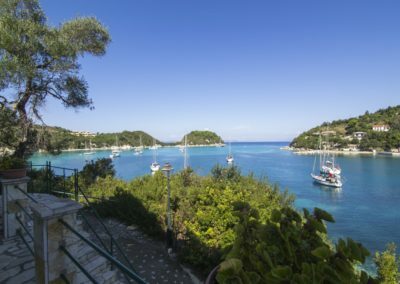 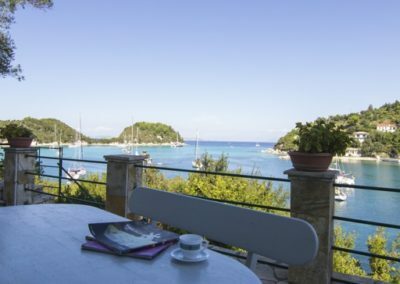 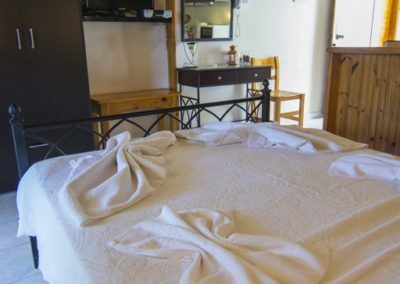 As its own name mentions these accommodations offer a marvelous view of the bay and the different shade of turquoise waters but also of the village of Lakka. 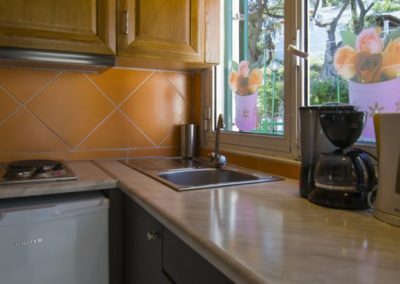 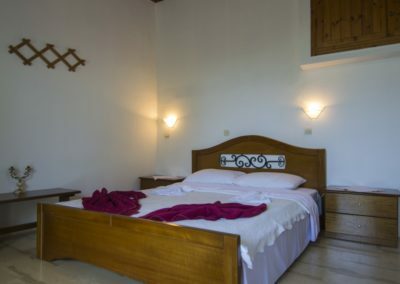 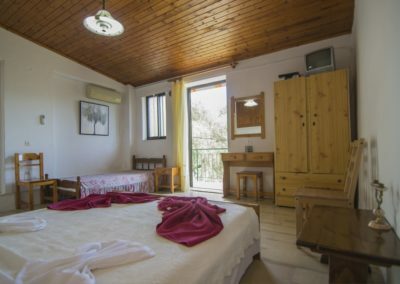 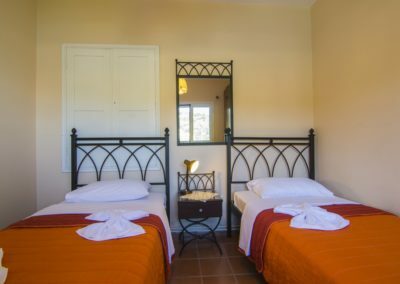 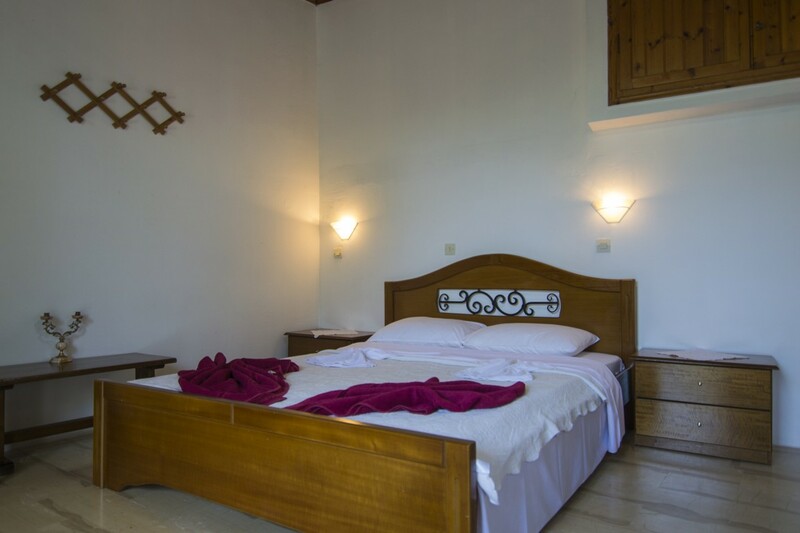 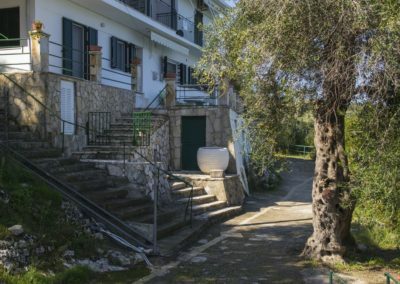 Just a two to five minute from the village you can watch the village’s life passes on but still enjoy the tranquility of a relaxing holiday as the building is surrounded by olive trees. 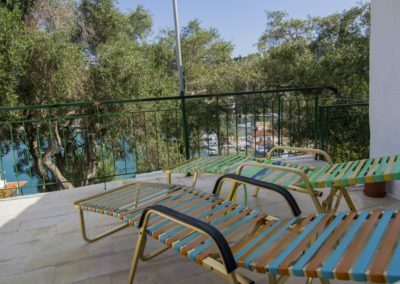 The nearest beach is just under the complex which means about a minute or two walk. 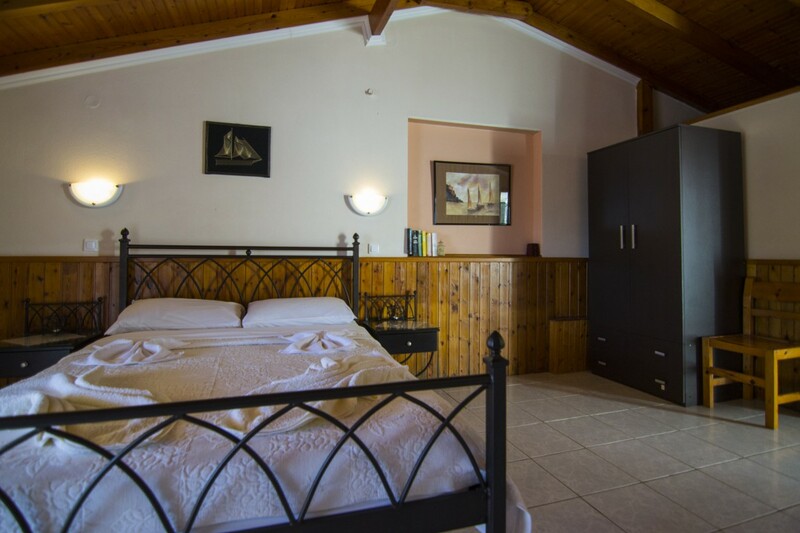 Each studio consists of an open plan bedroom with a double bed and one twin bed, a fully equipped kitchen, a bathroom and a private veranda. 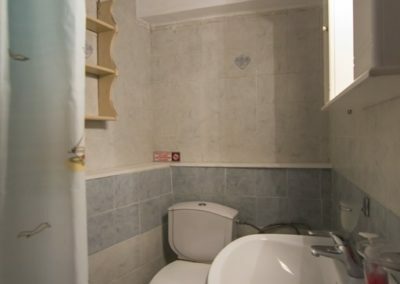 Suitable for 2 or 3 people. 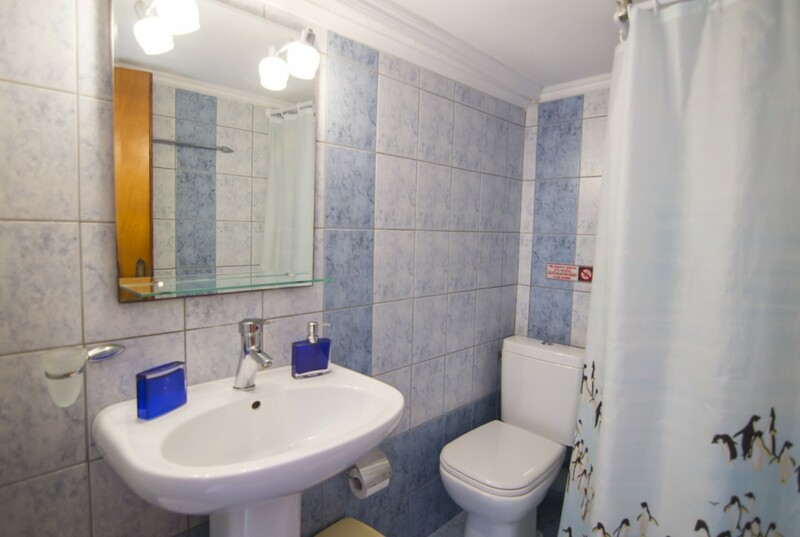 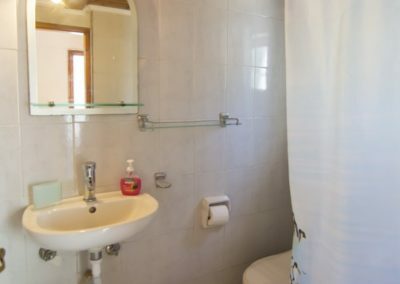 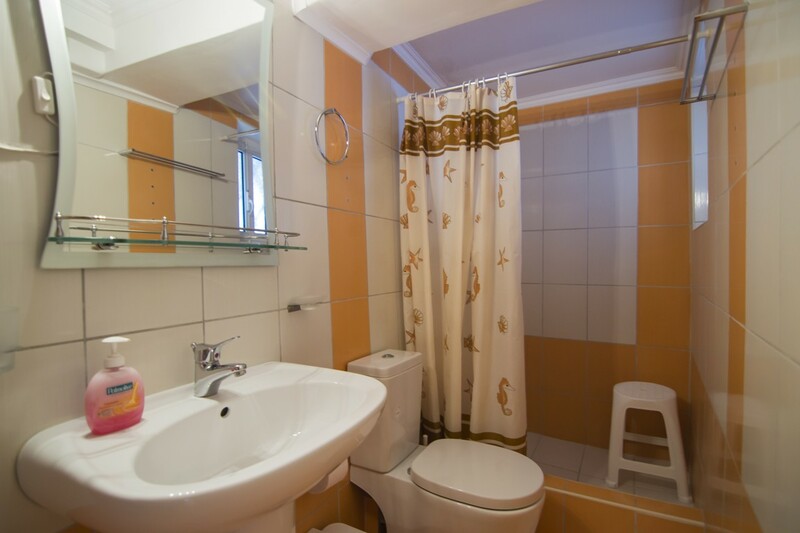 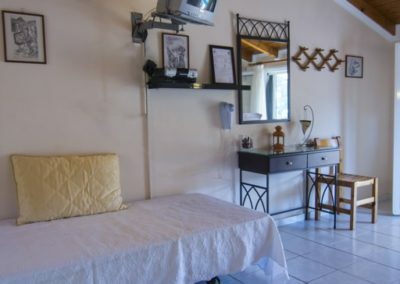 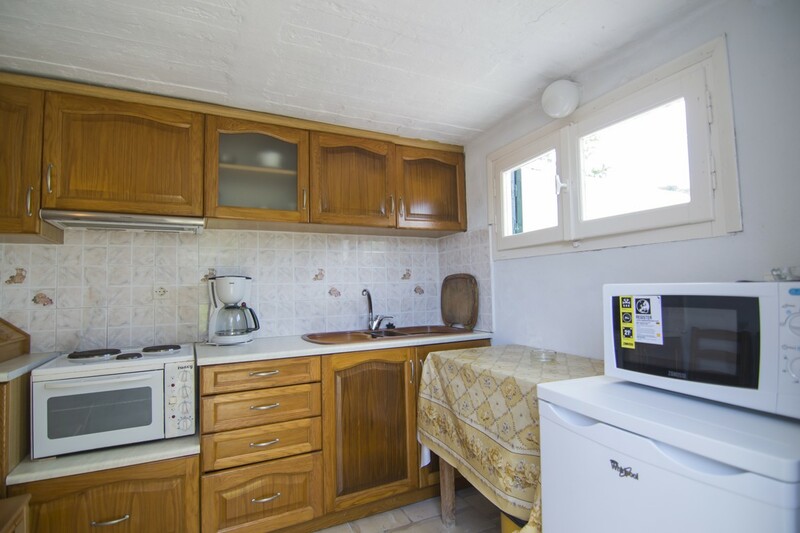 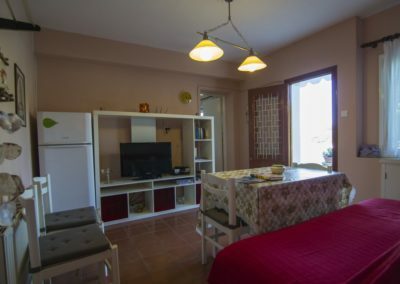 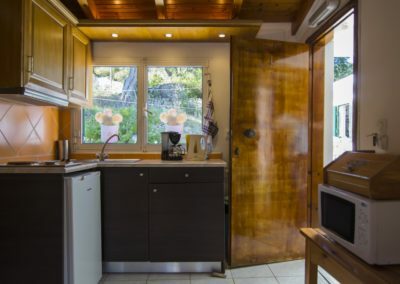 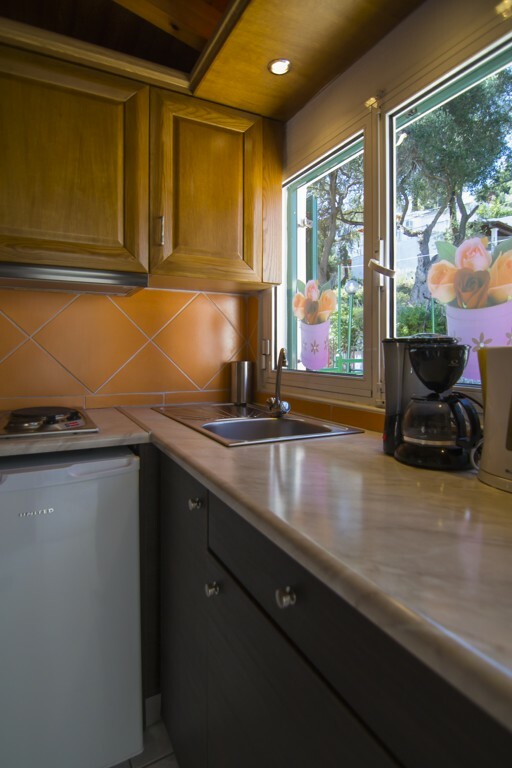 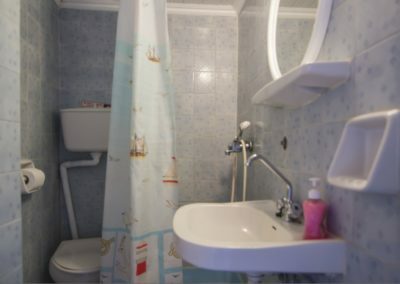 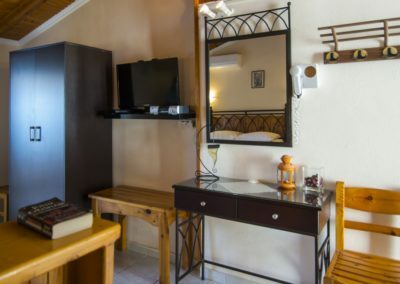 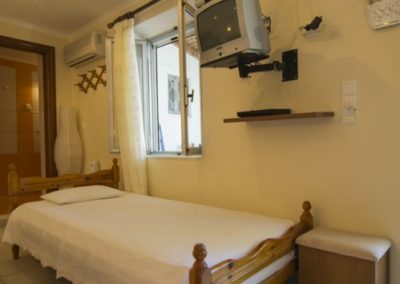 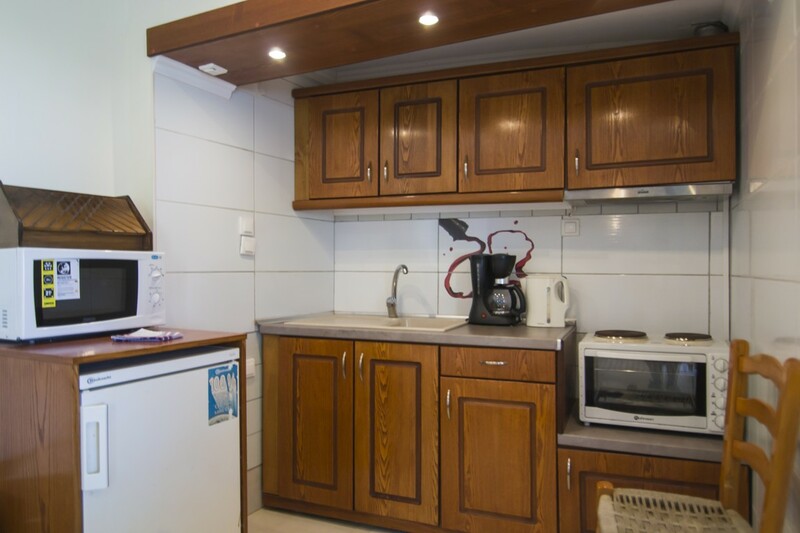 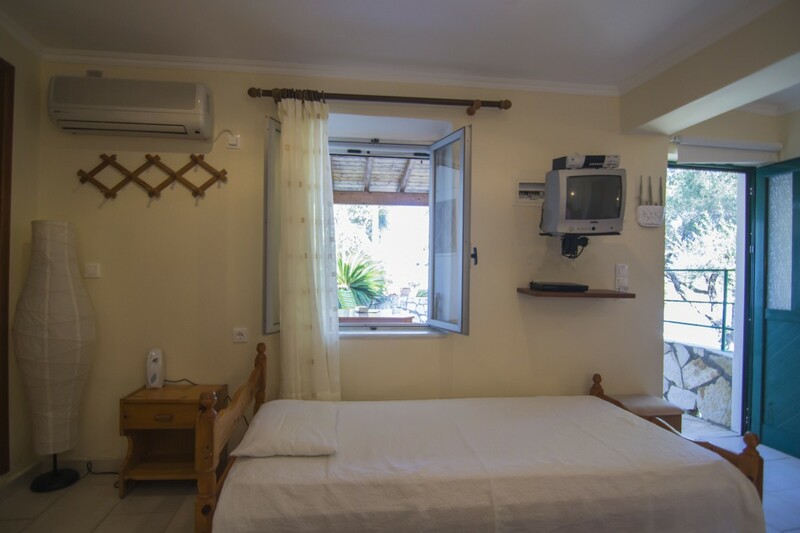 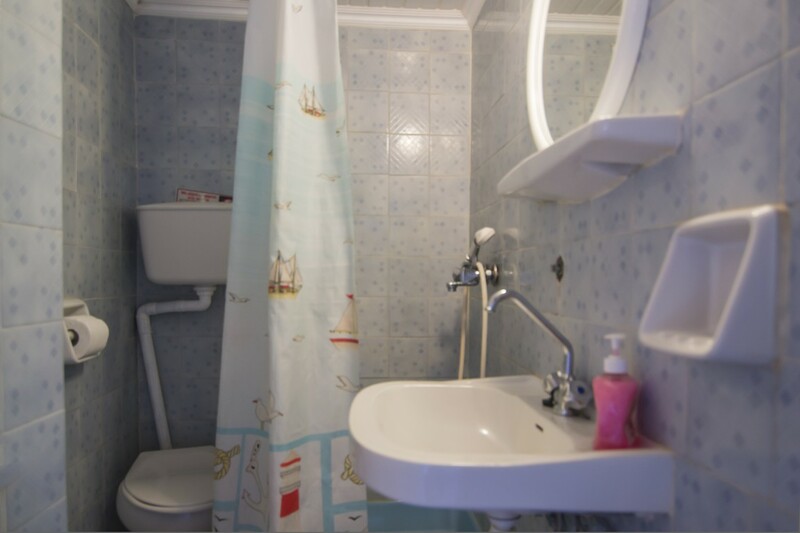 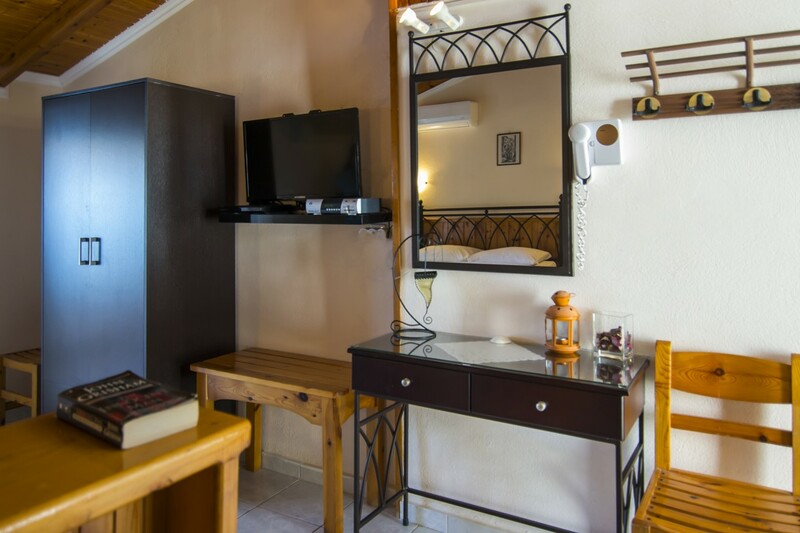 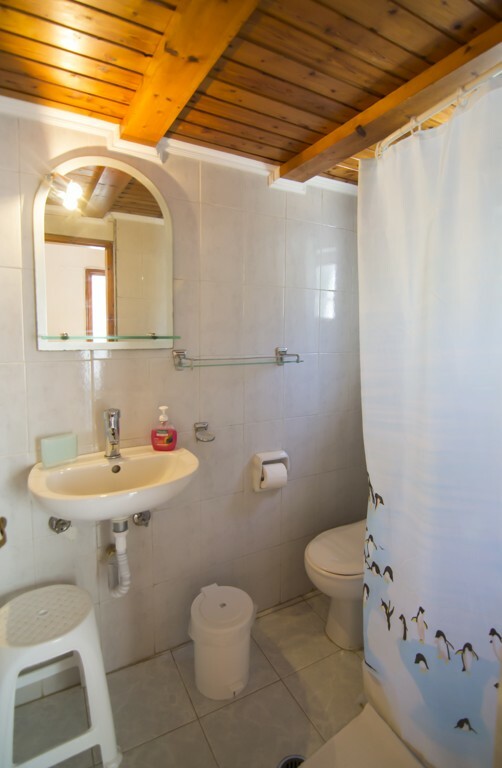 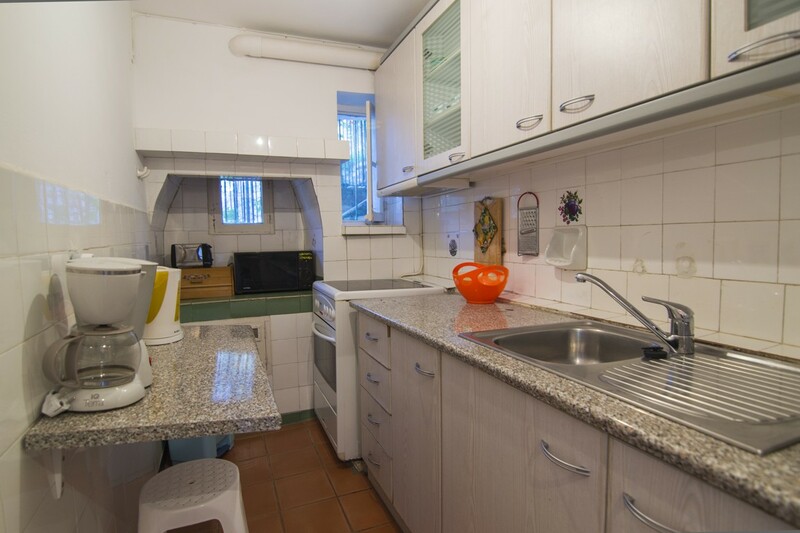 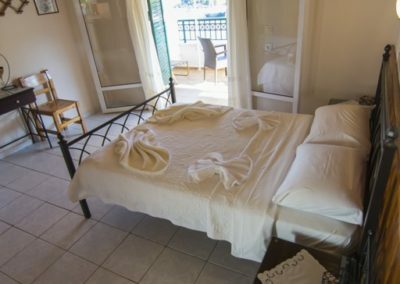 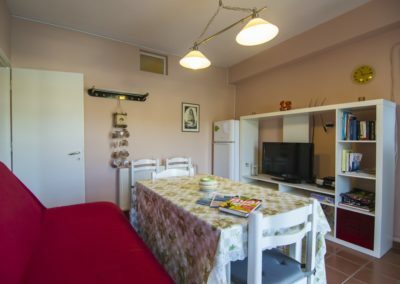 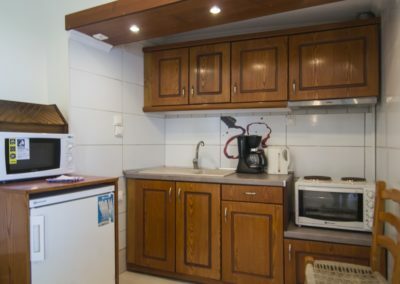 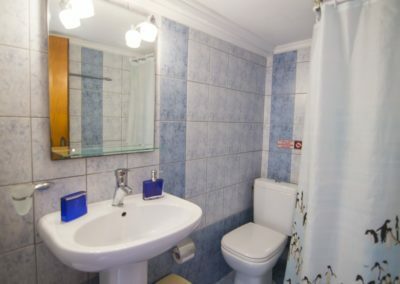 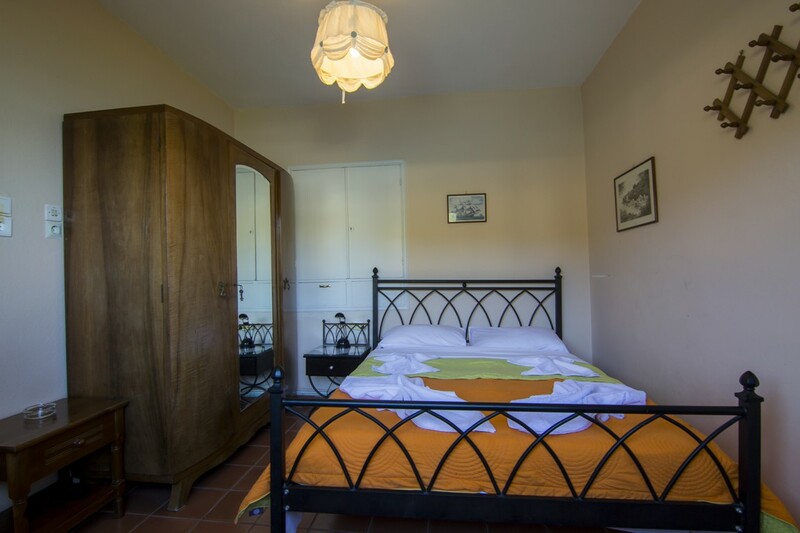 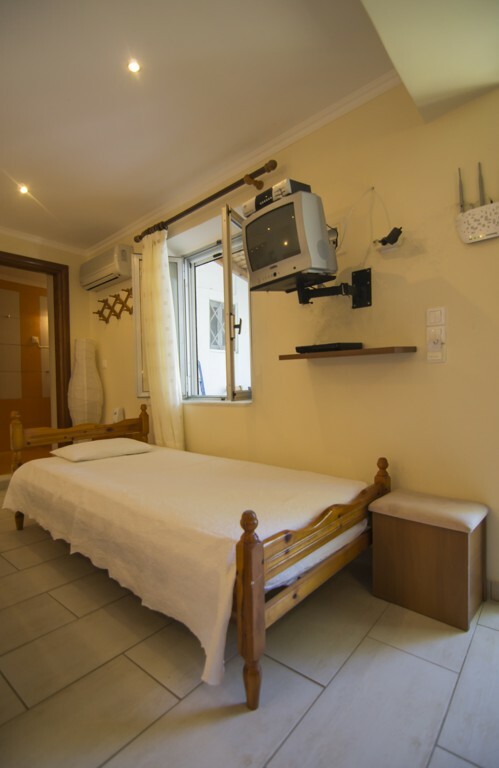 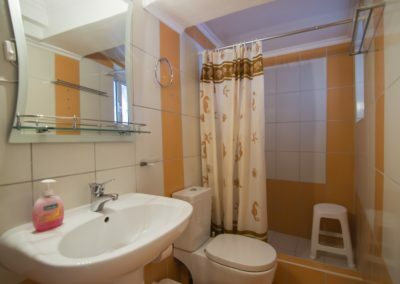 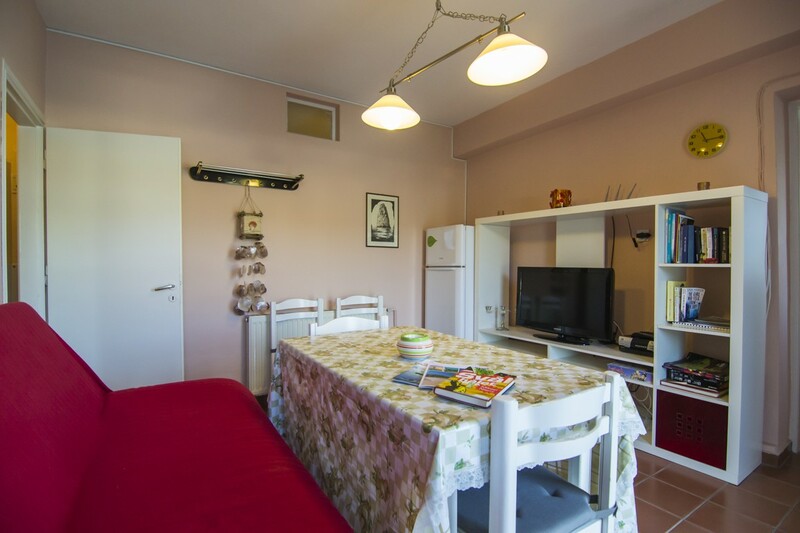 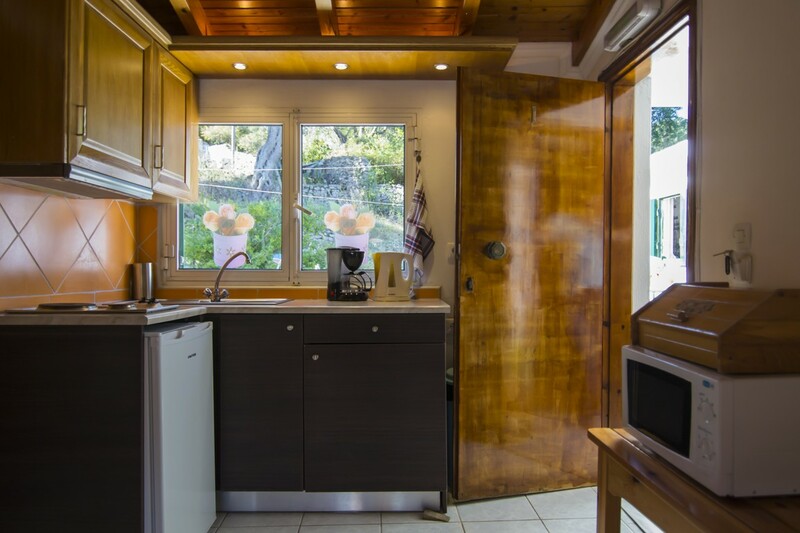 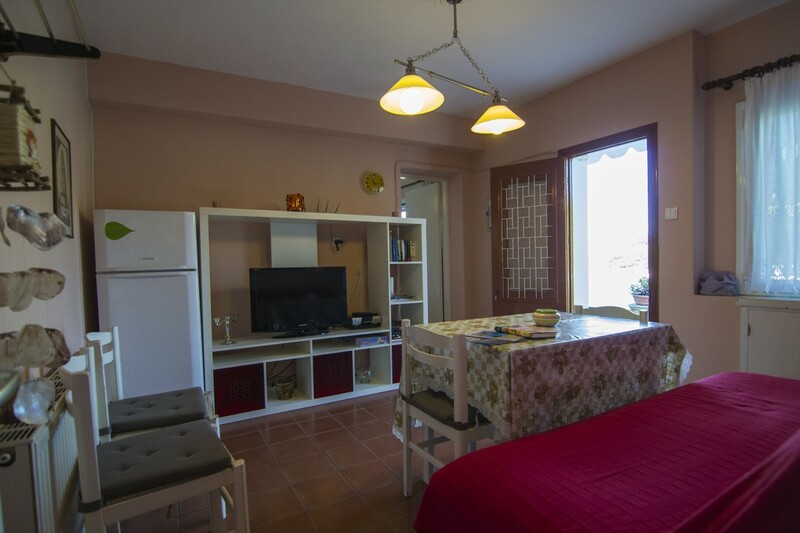 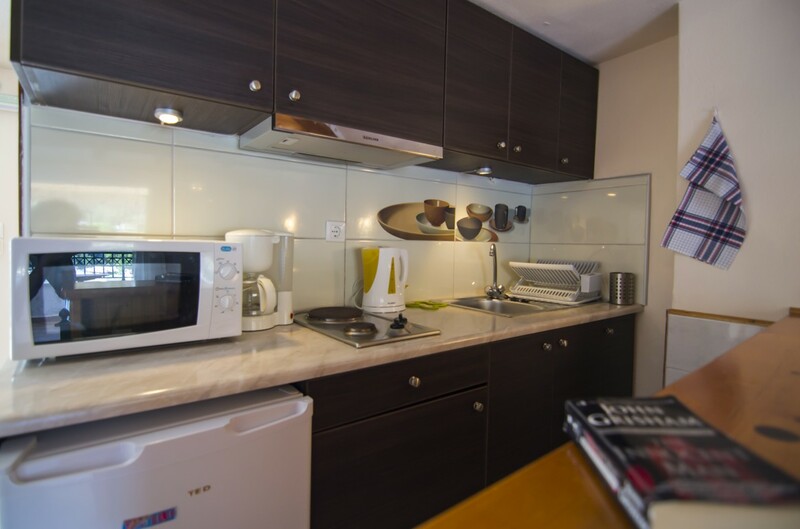 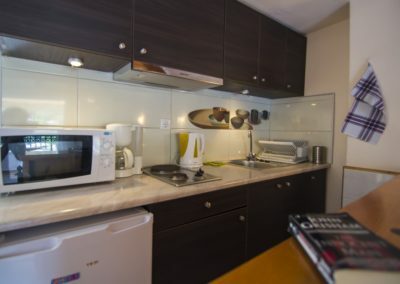 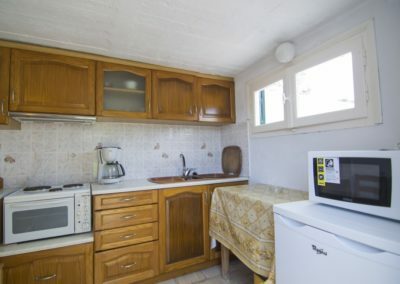 The apartment consists of two bedrooms, one with a double bed and the other with two twin beds, a fully equipped kitchen, a dining room, a bathroom and a private veranda with sun beds. 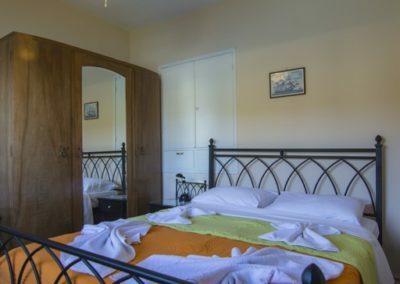 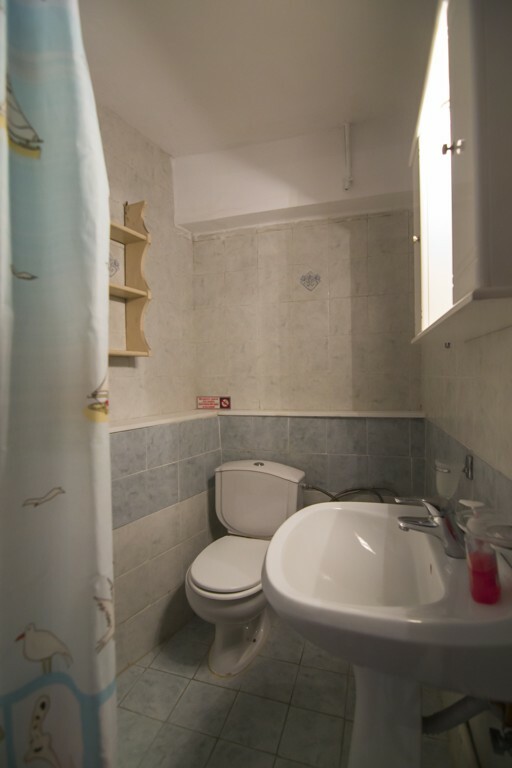 Suitable for 4 to 5 people. 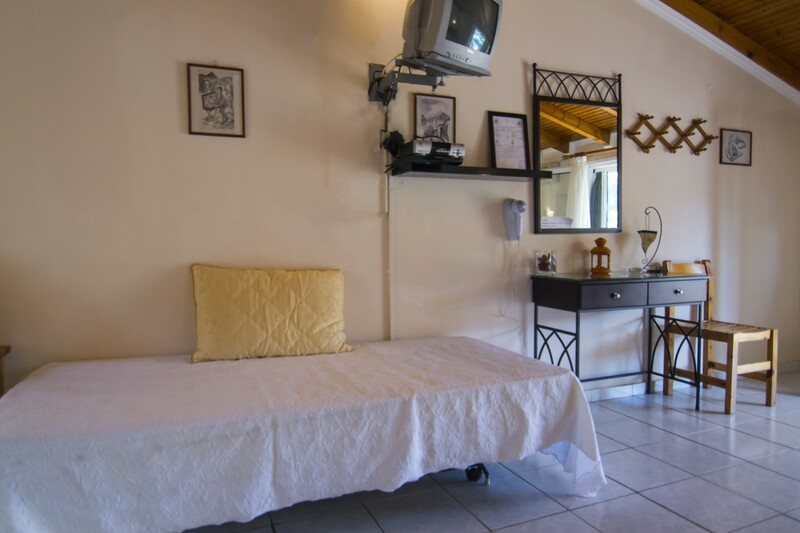 Pictures will be coming soon because at the moment it is being renovated. 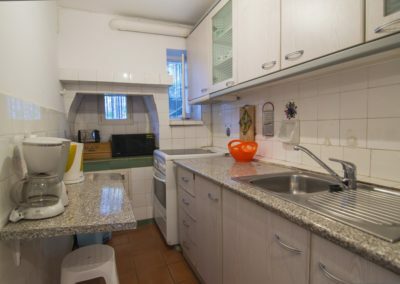 The view is the same as the White house Apartment as they are both on the same floor. 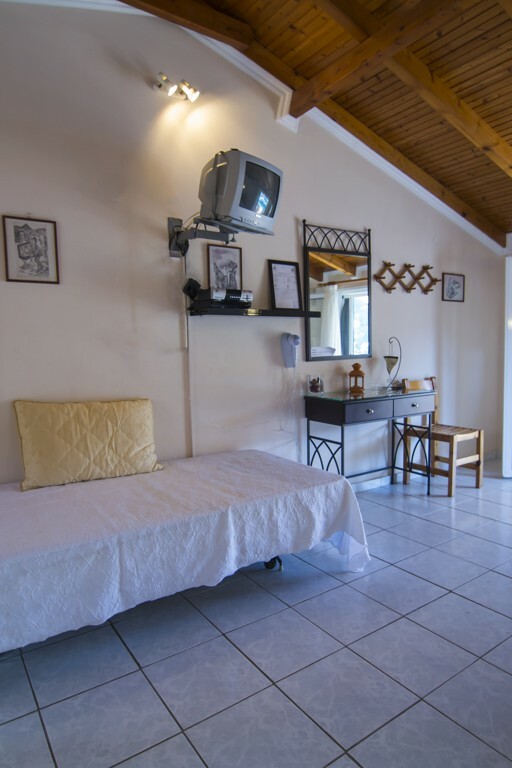 The layout and interior of the studio is similar to the Lower Studios (Limani studios). 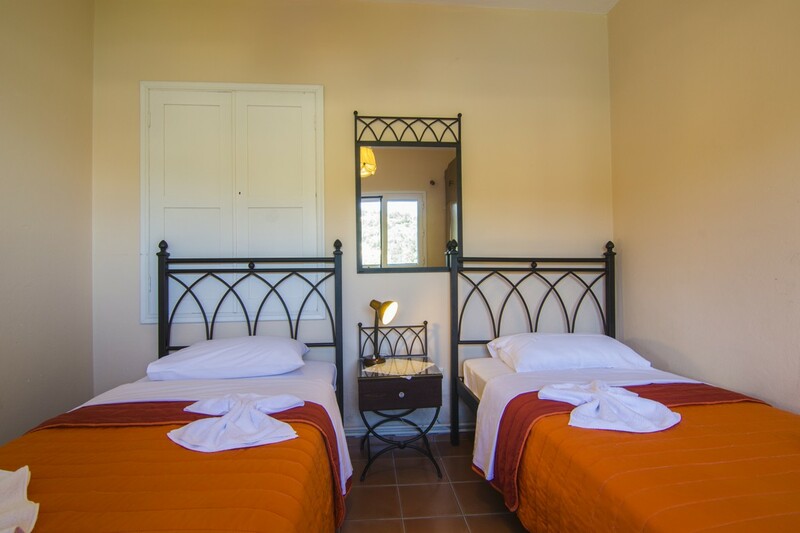 *= Prices in euros per day for each accommodation. 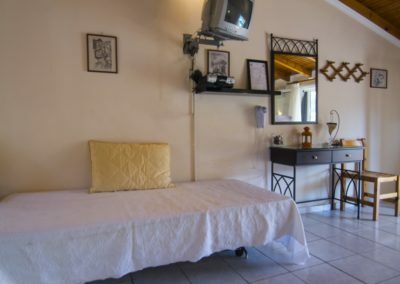 When accommodatated by an extra person please add 15 euros per day.